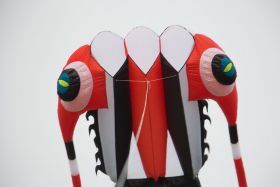 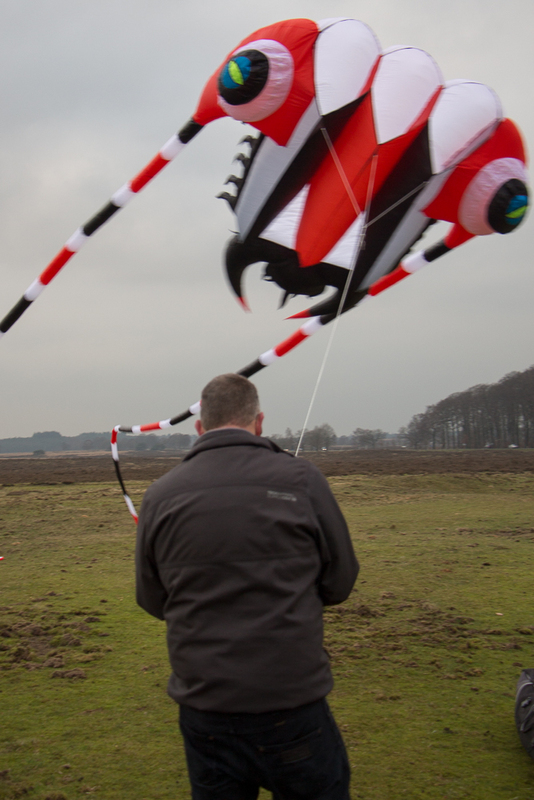 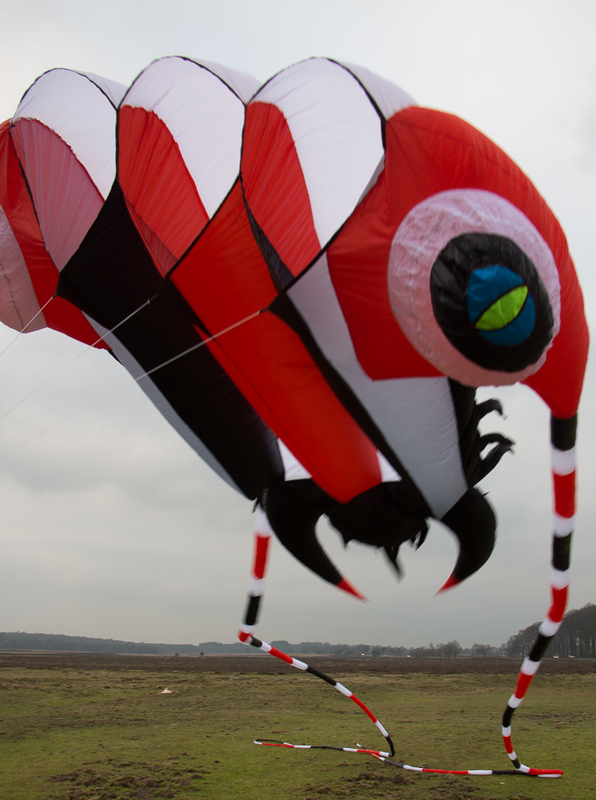 Impressive lifter kite. 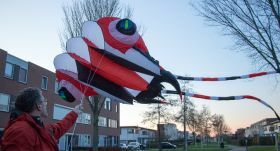 Both tails are about 7 meters long. 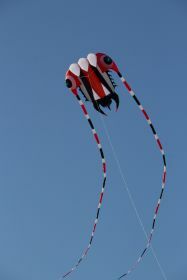 Bought during our visit to the Weifang Kaixuan Kite factory in China. 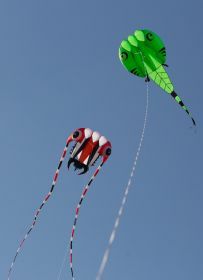 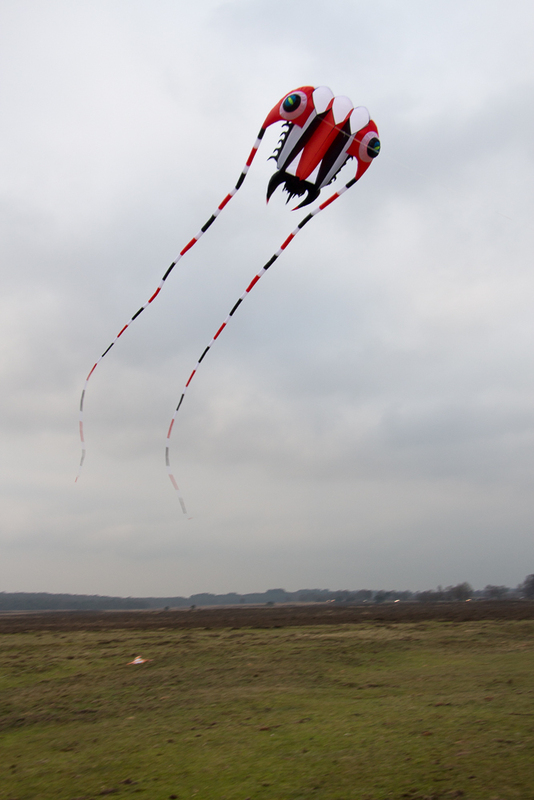 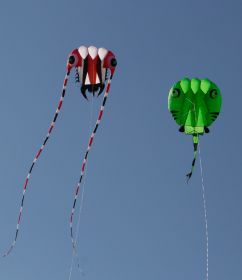 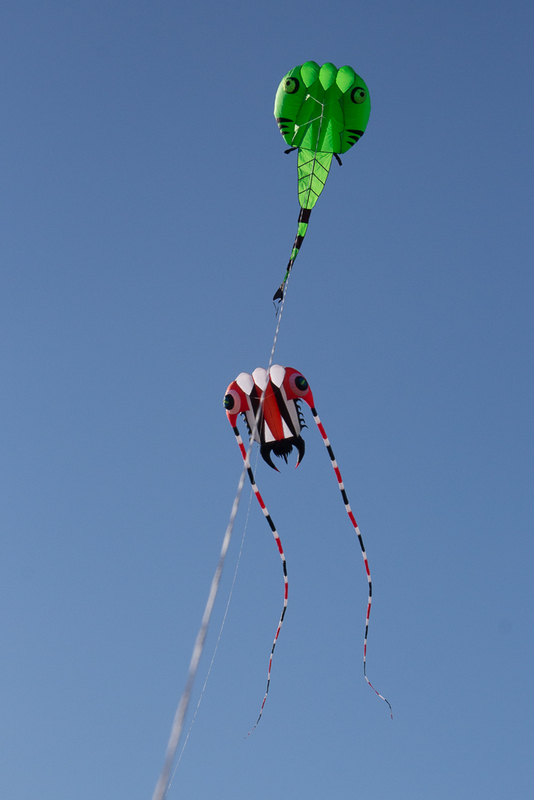 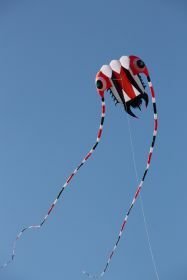 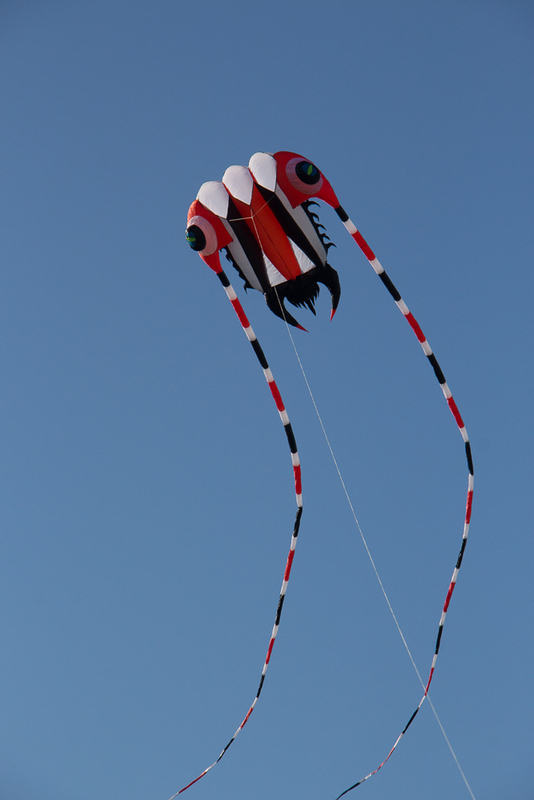 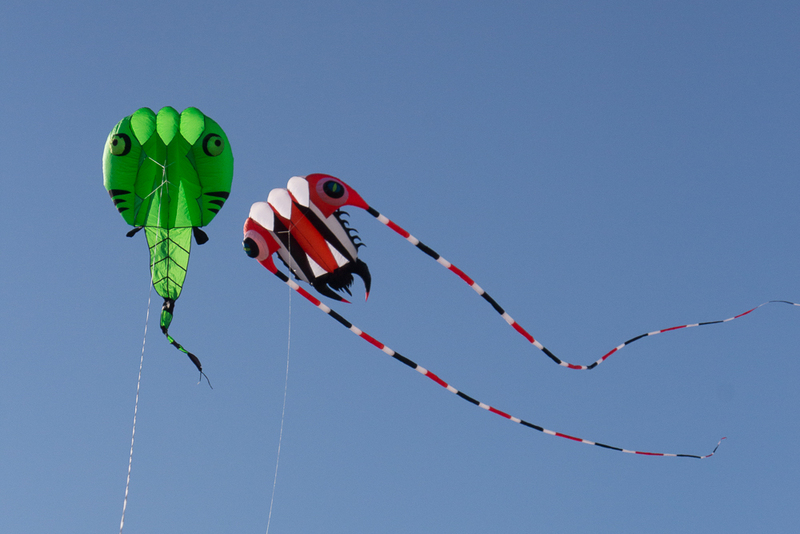 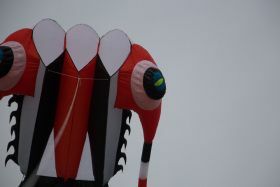 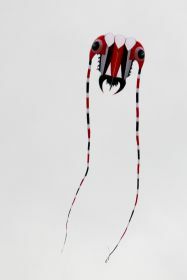 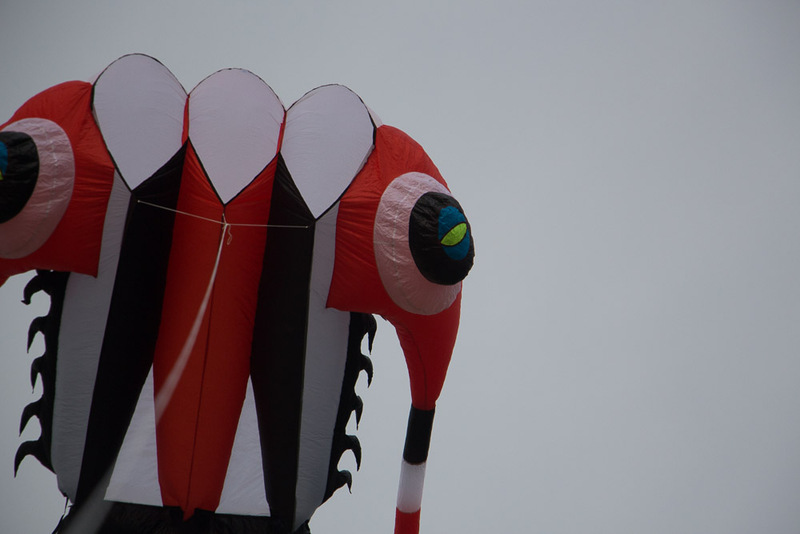 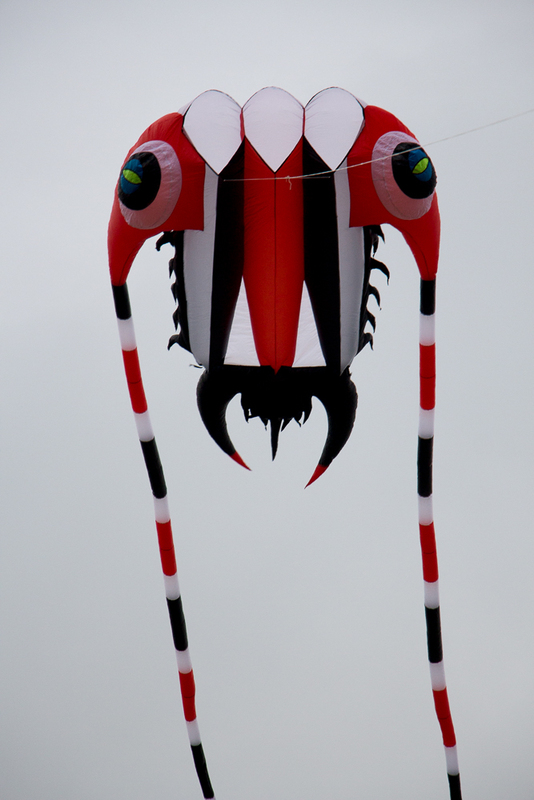 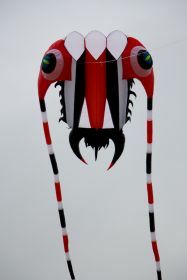 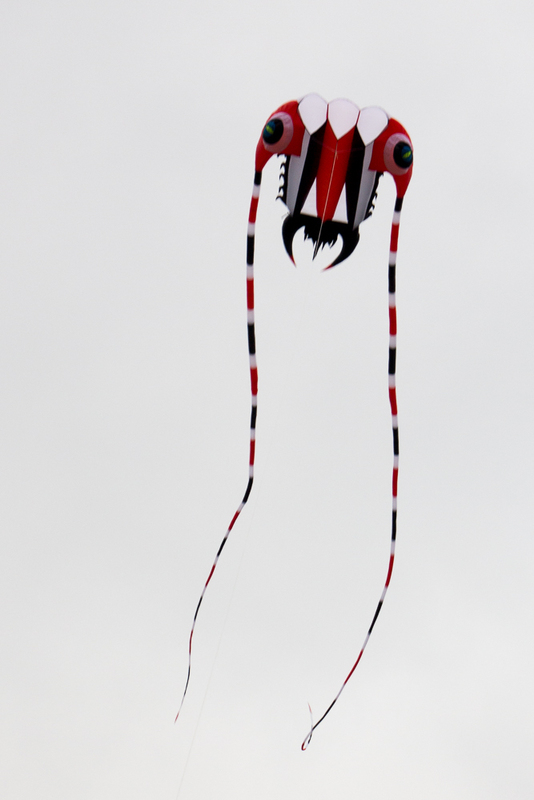 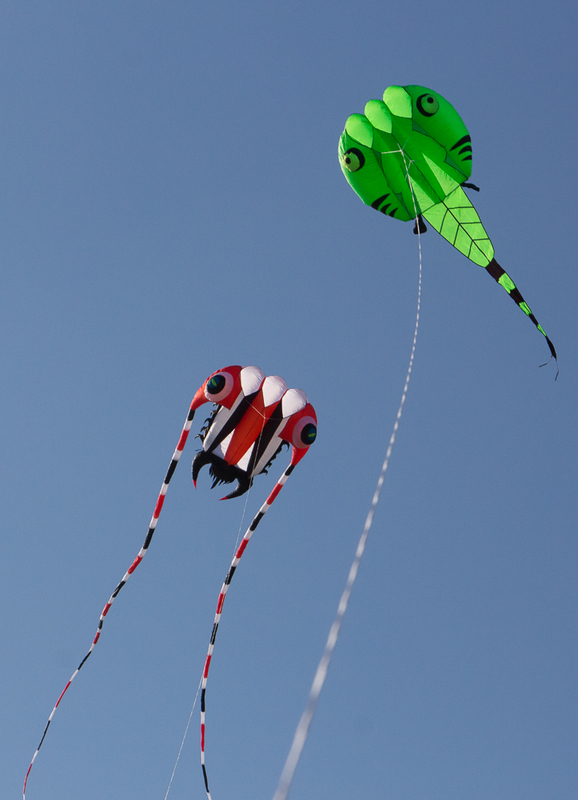 I don' find this kite beatifull, but is is certainly impressive.